The plant nursery sector (garden and apartment plants from roses to cut flowers) grew out of the tuscan garden tradition in the great Medici villas and was sustained by the great fertility of the soil. It is now one of Pistoia’s main economic sectors. Rows of plants and flowers are now a characteristic of the landscape and some nurseries are visitable on appointment. 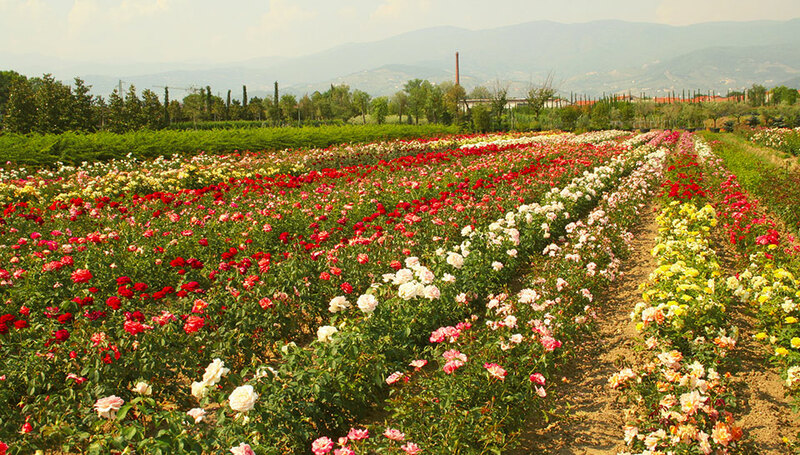 A Rose Barni plant nursery.